A view of the Potala Palace from the rooftop of the Jokhang Temple, located on Barkhor Square in the heart of old Lhasa. 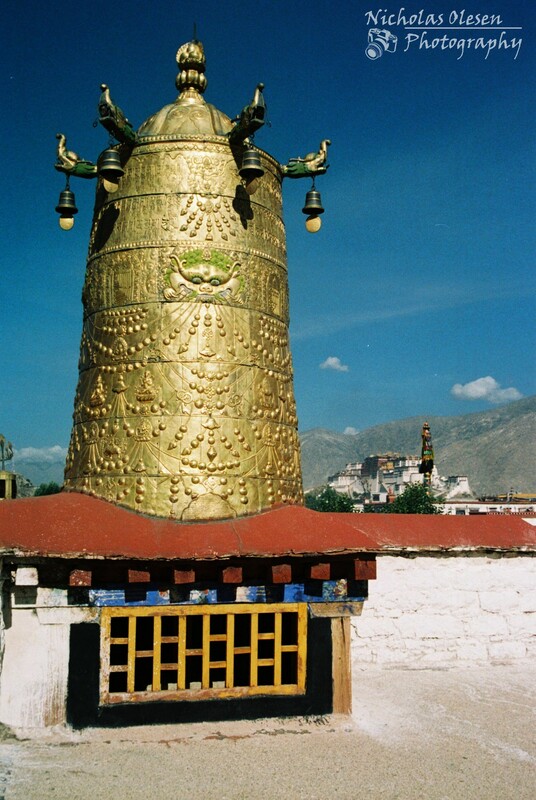 The temple is considered by Tibetans to be the most important and sacred temple in Tibet. 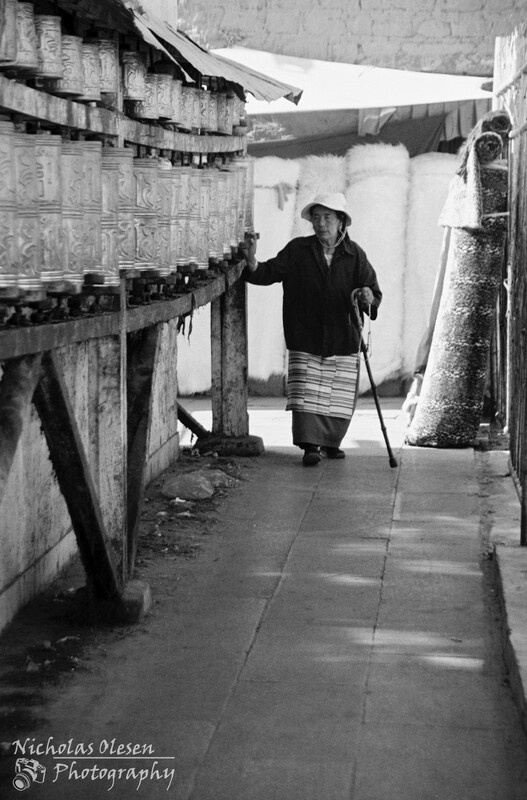 A Tibetan woman turns prayer wheels as she walks around the Barkhor prayer way in Lhasa, Tibet.